This is disgraceful. It’s bad enough when corporations and big business turn their backs on their workers so they can maintain the status quo of lining their own executive pockets, but for the body created with the intention of protecting the workers? Appalling. I am pro-union. I grew up in a union family. Though white collar – the first to break the ‘blue collar’ standing in his family — my father was a member of a union that treated him well to the day he died. He was so skilled and unfailingly honest in his work for his railroad that the union stole him away, and for the last fifteen years of his professional life he was one of only 8 auditors for the transportation unions in North America. He rubbed elbows with mechanics and electricians, corporate giants and senators. He was well respected, for he had no fear confronting any discrepancy he uncovered. Some people he met lost their jobs because they thought they could get away with stealing from the union, or diverting monies where they weren’t intended to be. He was threatened at times, even shot once, the bullet missing his heart by only a few inches. But nothing deterred him from holding anyone — and everyone — to the best standards: he never abandoned his ethics. My father was warm and funny, honest yet always willing to give someone a chance. He was a quiet spoken man who lived a life of integrity. Perhaps that’s why I so loved To Kill a Mockingbird, for in my eyes he was the embodiment of an Atticus Finch. So I am pro-union, but only to the best in unions because that was the example I grew up with, that is the example I was taught. To not file approved, audited financial statements for 12 years yet continue to pull salaries totalling just shy of one-half million annually is an utter breach of the contract between the executive branch of the union and its union members. To fob off members who ask questions, to use the equivalent ‘the dog ate my homework’ excuse when regulatory bodies ask for answers is reprehensible. Union members have the right to expect their union to answer any and all questions asked, to represent them to the very best of their abilities and to protect them as per union by-laws with fervent diligence. The governing body of the union has no right to turn a deaf ear to the members they are responsible to represent. This is what they are paid to do. What is the union’s financial state? Where are the funds from all those yearly dues? 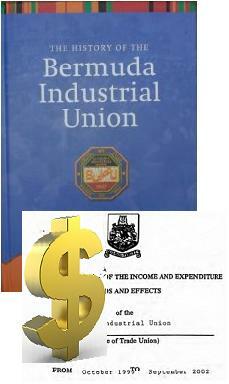 If the governing body of the BIU is misappropriating funds, or unable to properly handle funds to maintain a balance in the black, or if the governing body doesn’t know how to prepare and properly audit their annual financial statements, then they need to be chucked out on their respective asses while a real auditor comes in to assess, report — and correct — the situation. BIU members have the right to know the state of their union. It’s an abiding principle to any unions’ by-laws, and not one to be toyed with. Union members — keep applying pressure. Tell these jokers you want an answer NOW and then do all in your power to clean the slate and elect new governance. Slipping a year, maybe even two could be tolerated IF there’s a genuine lack of understanding how to recover lost records. But 12 years??? No. That’s a pathological dismissal of the accurate accounting of your monies. Of your best interests. If my Dad were still alive, I’d tell him to offer to come in and unravel this mess. I’d bet heads would roll, to the benefit of the BIU. BIU members have the right to know where they stand. No excuses – no matter what the dog says. Once again, this is an example of a leader in this world either too oblivious to the voice of many of her people, or simply determined to ignore that which can’t be easily ‘spun.’ Premier Cox is attending the Royal Wedding. It is understandable. That’s what is done in political circles. Some of her statement, however, is rather embarrassing. “…wow factor”…? Honestly, anyone in the world who knows about the wedding already knows how grandiose these affairs are, so coming from the Premier this sounds more like the comment of an X-Factor judge. As to the second paragraph, it’s rather sexist and patronising all at the same time. Sexist because it implies only women could appreciate “…the love story.” Is it meant to curry favour with women voters that Premier Cox is just one of the girls? Patronising because it implies the women of Bermuda will be so mind-altered by the romance of such a love story that it will somehow overwhelm their daily lives and sugarcoat any struggles they may be fighting. But perhaps that was the Premier tossing off a few remarks in her personal excitement at being invited. So yes – naturally she will be attending, and I doubt there’s many people who are actually opposed to it. However, there are many who are not thrilled because they have raised the question, who is footing the bill? Madame Premier, don’t you see that such a gesture is just what many of your people are looking for, to show that all of you in elected government are willing to sacrifice something of your personal comforts to show that you appreciate your peoples’ struggles and will take a pinch right alongside them rather than standing back and asking only them to make sacrifices? You have your government-paid cars and government-paid benefits, your salaries, nice homes, nice clothes and all those must-attend fetes, yet more and more of your citizens worry about paying for power, buying groceries, and how they will afford the extra petrol they need to get to work now that ferry and bus schedules have been cut. So it’s a fair question. With you and your ministers unwilling to make any gesture of sacrifice as a sign you are allied with your citizens, many have asked — is your trip for the wedding subsidised by tax-paying Bermudians? Or are you footing the bill personally, or at least some of it? Until you answer that question for your citizenry, you shouldn’t go on about the “love story”, this “wow factor” wedding. It is disingenuous and disrespectful to the people who elected you, and who may be wondering how they’ll buy groceries next week. FRIDAY, APR. 1: Hundreds of residents have had their lights turned out for failing to pay bills as recession woes continue to plague Bermuda. More than 1,000 homes have been disconnected for ignoring bills so far this year — a huge increase on 2010. And about 250 BELCO customers had their power supply cut off during a single day blitz on Monday. This is a travesty. 250 homes cut off in a single day, 1,000+ to date. And to read it described in a publication as a one-day “blitz” smacks of mockery and disrespect for those who arrived home to lights out. Does BELCO think Bermudians won’t notice? Won’t care? Apparently they do, sitting snugly in their homes, lights full on, a hot dinner in their stomachs, playing contentedly with electronic games or watching films — perhaps even relaxing in the warm waters of a pool or spa. They have no care in the world about children and seniors in the dark, unable to cook, food spoiling in slowly heating refrigerators. Hmmm — and what about those who have medicines that must remain refrigerated? Oh, well — too bad for them I suppose. Before going further, let’s dismiss from argument the percentage of folks who don’t know how to prioritize and are habitually bad bill-payers. Yes, these people will always exist, but with so many out of work, or surviving on meager wages in this economic downturn they are NOT intended as part of this current discussion. Situations like this are happening around the globe, increasingly encroaching on societies that were considered to be ‘middle’ class. As with guns, gangs and drugs, is this a global example Bermuda wishes to emulate? This situation makes me think of all the historical examples of one entity having too much power over peoples’ lives — all those mining concerns, logging concerns, and all the workers with no choice but to live in the “company” town and shop at the “company” store, even though they were never able to earn q-u-i-t-e enough money to pay for their necessities. Fast forward to England in the ’80s — 3-day work weeks and power cut-offs lead to riots, looting and fighting in the streets — and the British police could NOT control it. So many people injured, so many families nearly destroyed. One of the things that helped resolve the energy problems for many English homes was the introduction of prepaid electric meters, alleviating those big bills arriving in the post, demanding to be paid in big chunks. 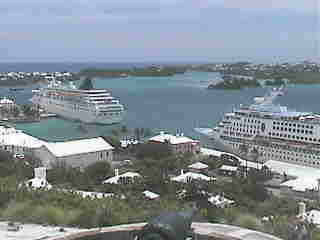 Why can’t Bermuda do the same??? It would allow those struggling on marginalized earnings to have a better control over their energy needs. Read BELCO’s website, look up articles of the past year or so and you’ll see an entity that is operating on the status quo rather than pushing to the forefront for energy in the future — just like the rest of the global power brokers are acting. Bermuda doesn’t need thinking stuck in yesterday’s ideas: it needs eyes looking at today’s problems, planning for tomorrow’s, and unfettered by conventional thinking. Look how cleverly Bermuda thought about the problem of fresh water all those years ago, long before desalinization — roofs, rainwater. Simple. Ingenious. With all the energy issues going on in the world, Bermuda needs brains working outside the box. Why isn’t BELCO pushing for solar power, wind power? Wouldn’t it be brilliant for Bermuda to leap to the forefront and become the leader in NEW energy resources, SUSTAINABLE resources? Rather than ribbon-cutting ceremonies for new gas turbines and planning on replacing diesel plants, why not bring in experts in solar energy and engineering to carve a path for the future? Yes, Bermuda doesn’t have land to spare for huge energy fields, but if someone was able to engineer a platform to drill for oil in the middle of the ocean, why can’t someone engineer an ocean platform to harvest solar energy? Oil, diesel and gas being used to create our energy every day making fat cats fatter, and 1,000 homes are in the dark tonight. How many more? Imagine if all those people stepped out from their doors and gathered in the streets, calling for help, calling for change. How long before tempers flared in frustration? How long before the police were called out? How long before that first single rock was thrown? Mr. Ingham et al at BELCO, Premier Cox et al in government — you should be ashamed so many of your neighbours have been so ill-served. And ashamed your foresight apparently extends only so far as your own comfort and riches dictate.